Covering over 10,000 idioms and collocations characterized by similarity in their wording or metaphorical idea which do not show corresponding similarity in their meanings, this dictionary presents a unique cross-section of the English language. 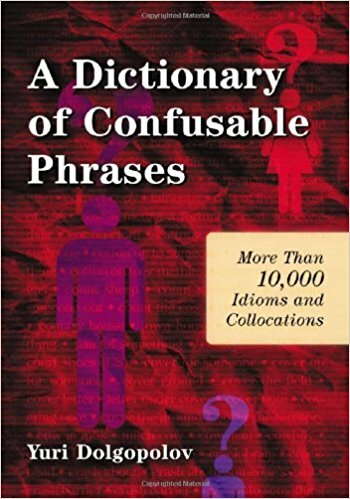 Though it is designed specifically to assist readers in avoiding the use of inappropriate or erroneous phrases, the book can also be used as a regular phraseological dictionary providing definitions to individual idioms, cliches, and set expressions. Most phrases included in the dictionary are in active current use, making information about their meanings and usage essential to language learners at all levels of proficiency.